Tandem Skydiving is easy to describe but hard to forget! It is a positively thrilling experience offering spectacular sights and exhilarating sensations. 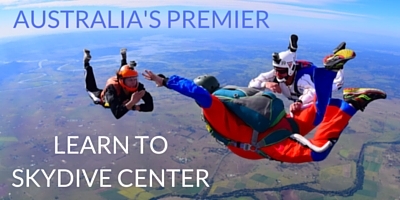 If you’re thinking of tandem skydiving in Queensland, there is no better place to do it than Skydive Ramblers! We are Queensland’s longest established skydiving centre and have been tandem skydiving Brisbane and the surrounding area since 1984. The ground training before your Tandem jump is easy and is approximately 15 minutes in duration. 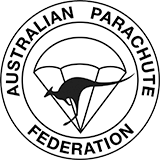 You are fitted with a jumpsuit and harness and are taught the positions required for exiting the aircraft, for freefall, for the opening of the parachute and for the landing. You board the aircraft with your Instructor and climb to exit altitude – skydiving is mostly about FREEFALL, yahoooo, so the higher you go the more you get! The ride to height is a terrific 15 minute flight taking in the sights. Then it’s time for a BIRD’S EYE view! At exit altitude the aircraft flies over the top of the landing area. The door opens and it’s show time. Smile to your video cameraflyer and go for it – JUMP! This is freefall time – skydiving at 200km/hr Gravity Powered! The moment you exit the plane your fears will vanish and be replaced by a feeling of absolute FUN, SPEED and ENJOYMENT. Freefall is one of the most exhilarating and exciting experiences in the world, and you get to enjoy it for up to one whole minute! Then, at 5,000ft your Instructor pulls the ripcord to open your tandem parachute. You will slow down within 3 – 6 seconds. The opening of the parachute is an awesome feeling – while you will be disappointed the freefall had to end, you will be very happy to feel that parachute opening above you! Flying around under canopy is a breathtaking sensation and the view is fantastic. Your Tandem Instructor will even let you try flying the parachute! This is a unique feeling of flight and for most people the parachute ride is as exciting as the freefall. After approximately 5 minutes of flying, your Instructor will guide the parachute down for a pinpoint landing. Upon completion of your jump you will receive a certificate, T-shirt and a Ramblers Rewards discount voucher to use on your next jump! Skydive Ramblers is open 7 days a week. Tandem jumps are made all day, every day as long as the weather is suitable. Weekends are the busiest days, so it is best to give 1-2 weeks notice for jumps on these days. If you know what date you would like to jump, even if it is months in advance, be sure to book in early to secure your slot. Ramblers is also able to take last minute bookings depending on availability. A deposit is required prior to your jump date. Please note that deposits are non-refundable, but are transferable. The balance may be paid on the day by cash, cheque, eftpos or credit card. Tandem Skydive	- 14,000ft $299 $285 $275 Book! Night Tandems are subject to availability. $450 - - Book! Deposit for a Tandem Skydive	 $100 - - Book! Let our professional videographers record your experience with video and high-res digital photos. Note that when making a Tandem booking, you can choose these options as extras. NOTE: Prices are subject to change without notice. Please check with the drop zone for confirmation. All prices quoted are inclusive of GST and are for cash, cheque, and online payments. If paying by card please note there will be a surcharge calculated at the annual average ‘cost of acceptance’ of that card type.